SHOP stands for “Small Business Health Options Program.” It’s the small business section of the Obamacare health insurance marketplace, where employers of fewer than 100 full time employees (FTEs) can purchase health insurance coverage for their employees. The SHOP exchange was created by the Affordable Care Act (ACA) of 2010. 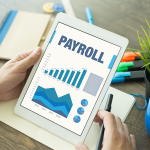 If you want an easy way to offer benefits to your employees, check out Gusto, an affordable payroll and HR services provider for small businesses. Gusto offers licensed brokers who can you help you find benefit packages to fit your budget and needs. Click here to try Gusto payroll services free for 30 days. Who Can Use the SHOP Exchange? 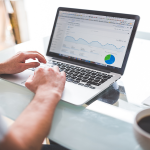 Are Small Businesses Really Using SHOP? What Are my Options Aside from SHOP? Want a broader overview of how to provide health insurance for your employees? Read our Guide to Providing Health Insurance. The SHOP Exchange was created to solve a typical business problem – there was a lot of demand for health insurance for small businesses, and no one was really providing an affordable option. Have fewer than 100 full time employees (FTEs). This is new for 2016 – the healthcare.gov site still says fewer than 50 FTEs. Use the SHOP office that is nearest to your primary office site (i.e. if you are in Chicago, you cannot use the Los Angeles SHOP). Must offer coverage to all of your full-time employees–generally those working 30 or more hours per week (on average). In several states, at least 70% of your full-time employees must enroll in your SHOP plan (we’ll go more into these special requirements in our state table). How Does the SHOP Exchange Work? The SHOP is an online vendor, much like Amazon or eBay. It gives small businesses the opportunity to browse through insurance plans, sorted by cost, levels of coverage, network types, and more. In a nutshell, SHOP, though run by the government, links the small business owner to private health insurance plans. Individuals/families can also purchase SHOP on their own and not through you as their employer – here’s how. It’s free to request a quote for different health insurance plans on SHOP. By using your designated SHOP’s online application, on your own or with the help of a SHOP-licensed agent, broker, or other assister, you can compare price, coverage, and quality of plans in a way that’s easy to understand. 18 states plus the District of Columbia run their own SHOP Exchange sites: California, Colorado, Connecticut, District of Columbia, Hawaii, Idaho, Kentucky, Maryland, Massachusetts, Minnesota, Mississippi, Nevada, New Mexico, New York, Oregon, Rhode Island, Utah, Vermont, and Washington. Each of these states has its own unique SHOP site and, like most aspects of health insurance, the coverage and quality of coverage offered by SHOP varies greatly from state to state. States might also have varying eligibility requirements, like the percentage of enrolled employees, so carefully read the rules in your state to make sure you qualify (or talk to a SHOP-licensed broker in your state). We’ve summarized the rules in the table below. Businesses located in all other states can use the federally run SHOP. California To be eligible, your business needs to have at least one but no more than 100 full time employees; at least one employee that is not the owner or spouse receives a W-2; and the majority of your eligible employees live in California. Colorado To be eligible, your business needs to have at least one but no more than 100 full time employees. Connecticut Your business can only have up to 50 full time employees, and the business must be located in Connecticut. D.C. Your business can only have up to 50 full time employees. Hawaii Business must employ 1 to 50 full-time equivalent employees, will offer all full-time employees coverage through SHOP, and has its principal business address in Hawaii. Idaho Business can have up to 50 full time employees and both small businesses and nonprofits can get group health plans through here. Kentucky Your business can only have up to 50 full time employees. Maryland Your business can only have up to 50 full time employees. Massachusetts Your business can only have up to 50 full time employees; they also require some proof of funds for startups of less than 6 months of doing business. Minnesota Your business needs to have its primary office in Minnesota, have at least 1 common-law employee, must offer the health insurance to all full time employees, and employ 50 or fewer full time employees. Detailed list of requirements can be found here. Mississippi Your business can only have up to 50 full time employees. Nevada Your business can only have up to 50 full time employees. New Mexico Unclear on requirements from website; not listed. New York Your business needs to have a physical business address within New York State; have 100 or fewer full time employees, including at least one common-law employee enrolled in coverage; and will offer coverage to all eligible employees who work 30+ hours per week. Oregon Requirements are listed here and mirror the federal government’s requirement. Rhode Island Business are eligible if they have 50 or fewer full time employees; offer the SHOP Exchange coverage to all full-time employees; and have a principal business address or a primary worksite in Rhode Island. Utah Businesses must meet the following criteria: must have at least 1-50 eligible full time employees and at least 50% of enrolling employees must live in Utah. The business must also have at least 75% of eligible employees enroll in the program or have other coverage through a spouse/parent, government program, or individual policy. Employers must also have a 125 Premium Only Plan. Vermont Vermont SHOP still directs employers to go to private providers. Learn more at the link to the left. Washington (state) Businesses are eligible if they are located in Washington State or have employees based in the state; offer coverage to all full-time employees; and your business has between 1-50 employees. The answer is sort of – it depends on where you are located. Though no one thought SHOP would catch on like wildfire, SHOP has had a lackluster takeoff. For example, as of October 2015, 5 state-run SHOP exchanges – Idaho, Kentucky, Maryland, Minnesota and Washington — had sold plans to fewer than 200 employers, showing SHOP’s lack of popularity. New York and California have the highest SHOP enrollments. Together, these two states’ SHOPs cover 6,500 employers and nearly 50,000 people; however, when you think of how large the populations are in California and New York, this is still a very small fraction of people total. Depending on which state you are in, you may be able to save big on premiums by using SHOP. In some states, SHOP plans are much cheaper than those you can find on the private market through an ordinary broker or professional employer organization (PEO) like JustWorks– definitely check to see if yours is one of them! While we couldn’t find exact data on which states have the best SHOPs, we do have an article about health insurance costs in general. It’s free to request a quote for a health plan on SHOP. You can use your current broker, work with any SHOP-registered broker, or handle everything yourself, as a small business owner. You may qualify for a small business health care tax credit worth up to 50% of your premium costs if you purchase a plan through SHOP. You can still deduct from your taxes the rest of your premium costs not covered by the tax credit (However, your average employee salary needs to be less than $50,000 per year). Employees don’t have to pay income taxes on any portion of health insurance premiums that they pay for. You can compare health plans online on the SHOP Exchange on an apples-to-apples basis, which helps you make a decision that’s right for your business. The SHOP Marketplace offers high-quality plans from private insurance companies. You can handle everything online, from applying to changing your plan, making it convenient for you as the business owner. Offer your employees one plan, or let them choose from multiple plans (more to come on this, called employee choice). Offer only health coverage, health, and dental coverage, or only dental coverage (vision coverage cannot be purchased through the SHOP Exchange). Choose how much you pay toward your employees’ premiums. Choose who you offer coverage to – the employee only, or if you will cover spouses or dependents. Decide how long new employees must wait before joining the plan (although this cannot exceed 90 days by law).
. In others, a broker or PEO is less expensive. You might have to change brokers in order to be SHOP-compliant (if you already use a broker). SHOP is not available through any PEOs, so if you are committed by a contract to a PEO, you cannot switch over until your contract is up. There aren’t really any tax disadvantages, except you as the business owner can only get the federal tax credit if you meet specific parameters. The tax credit is only eligible for very small businesses who also offer very low salaries. SHOP is new and a bit technically challenged, both at the national and state levels – don’t expect fancy apps like a PEO would offer or consistency in web service. SHOP is not going to have 24/7 customer service or live chat like some PEOs have – make sure your employees are aware of how to get customer service help and are able to get their needs met (which will depend on where you are). What Are My Options for Providing Health Insurance Aside From SHOP? Broker Also known as agents, brokers provide a direct link to health insurance companies. Service fees plus commissions - get a full picture up front of what a monthly bill might be. Face to face support, someone who can walk your employees through the sign up in person Small businesses can get pushed to the side as larger clients need the broker’s time. PEO (Like JustWorks) A professional employer organization (PEO) lets employers outsource employee management tasks, such as providing employee benefits. For each employee, about 1-2% of their annual salary Reputable; provides other services bundled in; guaranteed compliance Less personal contact; might require customer support help. Unfortunately, there is no best answer as to which option is going to be best for everyone. Not only can the pros and cons vary by state, but your options will also vary by your exact location. If you want to read more about how to provide health insurance through a broker or PEO like JustWorks, check out our Guide to Providing Health Insurance or our PEO buyer’s guide. What is employee choice? I’ve heard that a few times now. The SHOP Exchange passed a ruling for what is called “employee choice”; as of recently in 2016, this means that employees whose employers use SHOP as their health insurance provider can choose a plan on SHOP that is the same value of whatever the employer has committed to pay for. However, it appears that this will not go live until 2017 and not every state will participate. And remember, even with a choice, the options are only as strong as the network in your state. There is more information on employee choice and the states who are partaking here and here. Can the business owner cover him or herself and spouse and dependents under SHOP? In a short answer, yes, the business owner can cover him or herself and his or her family/spouse under SHOP in a few ways. If you are providing SHOP insurance to your employees, in order to get the tax credit, you must use the same insurance plan as the employees. If you do not provide insurance and need benefits, you can go to the SHOP marketplace for individuals, which you can find here. Where can I find a SHOP-registered broker? You can search for a SHOP broker by putting your zip code in here, and then names and locations will be provided for SHOP-registered brokers near you. Where to go for more resources? Some more resources on SHOP can be found here, which is the direct site for employers, and here, which is the government’s article on why small business owners should use SHOP. You can also check out our own article on how small businesses can provide health insurance. The SHOP Exchange is a work in progress, just like the entire healthcare and insurance industry. Checking to see if SHOP is a good option for your business is easy and free, so it’s a good idea to try it and get a quote. Have you tried SHOP? If so, what state are you in and what was your experience? Let us know in the comments. Don’t forget to check out Gusto a payroll and HR solution for small businesses that lets you shop hundreds of affordable employee benefit packages from top insurers. Click here for a free trial.